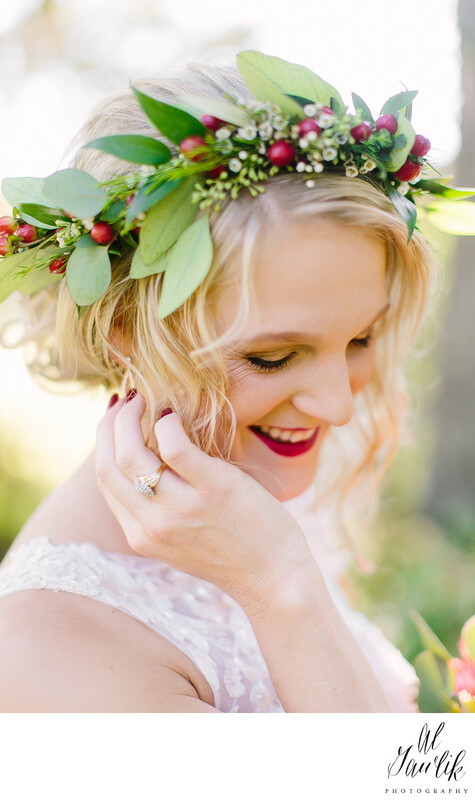 A Pecan Springs Ranch Fall Bride smiles remembering the special moments of her special day. The light casts a warm glow over her, the flowers and leaves providing a rich and colorful contrast with the natural beauty of this glowing Bride. A lovely moment in time captured by a photographer who loves and lives to tell stories with her images.